Today's the day, everybody: it's Royal Jewel Christmas! 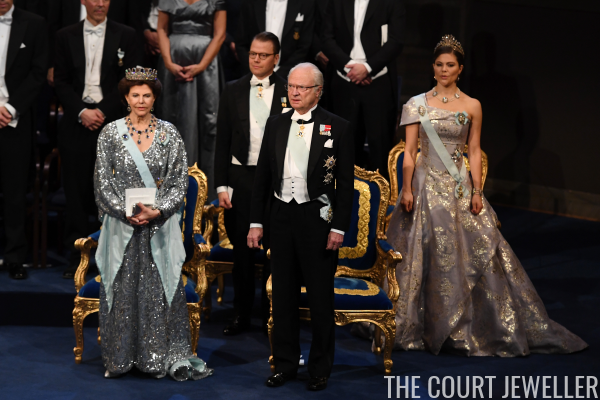 The Swedish royal family has gathered in Stockholm for the annual distribution of the Nobel prizes (except, of course, the Peace Prize, which is given out by the Norwegian royals). Whoever decided that the prize-giving should take place at a white-tie ceremony and banquet should be sainted. Let's have a look at the glittering tiaras and jewels on display! 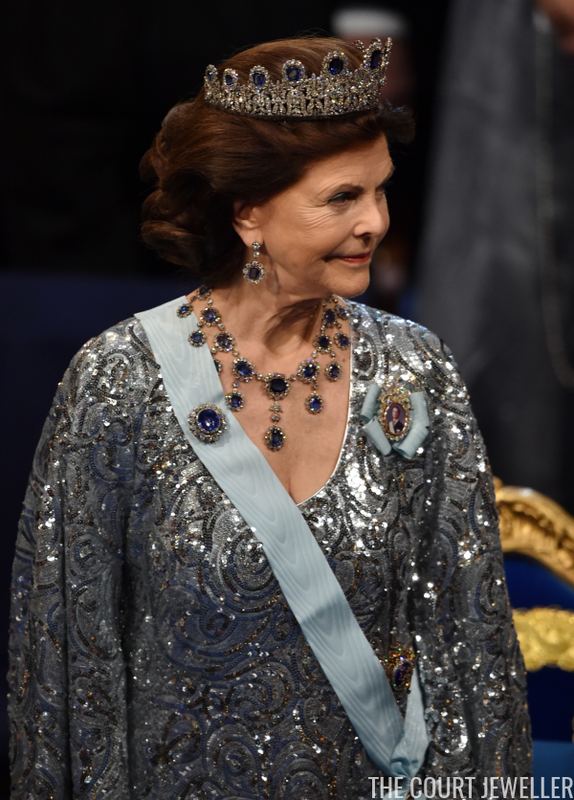 Queen Silvia usually alternates between Queen Sofia's Tiara (aka the Nine Prong) and the Leuchtenberg Sapphires to the Nobels, and this year, it was the sapphires' turn. She wore the tiara, the earrings, the necklace, and the brooch. Crown Princess Victoria chose an interesting combination of jewels from the Napoleonic era: the larger Cut-Steel Tiara, plus the necklace, earrings, bracelet, and brooch from the Cameo Parure. We'll get better views of all of Princess Madeleine's jewels when photos from tonight's banquet are released, but for now, we can see that she's wearing the Connaught Diamond Tiara. I believe we last saw her wear this tiara at her sister's wedding in 2010. 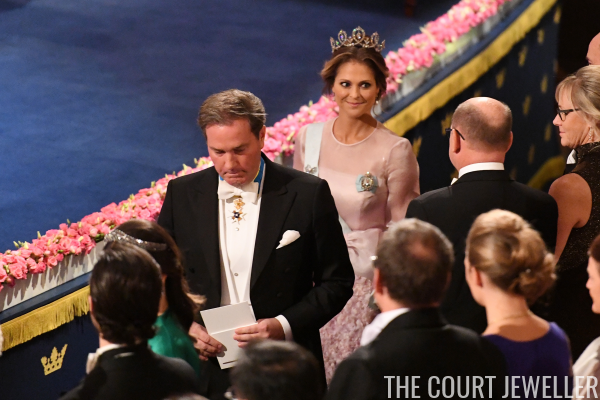 And here's a welcome surprise: Princess Sofia wore a different tiara! 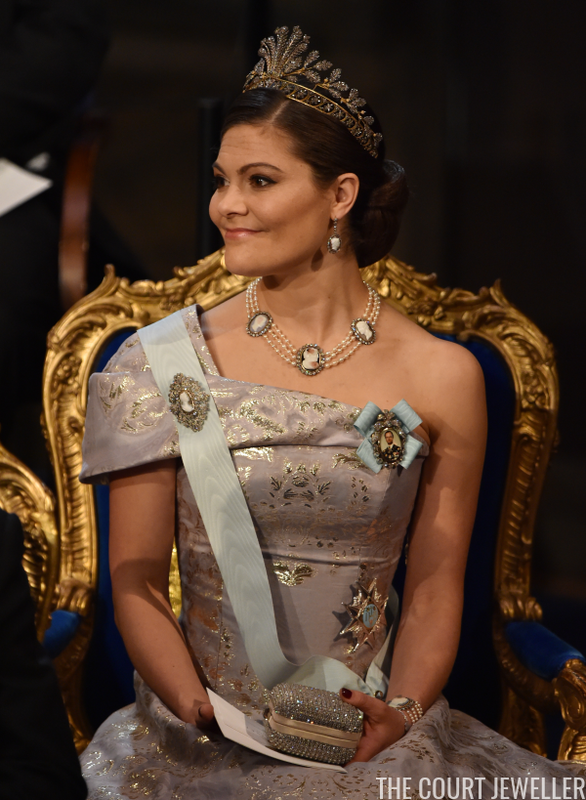 This is the smaller Cut Steel Tiara, previously only worn in public by Crown Princess Victoria. I can't wait to get a better look at this piece at tonight's banquet. Tonight and tomorrow, I'll be doing separate posts on the banquet, where we'll get closer views at all of the ladies' jewels. 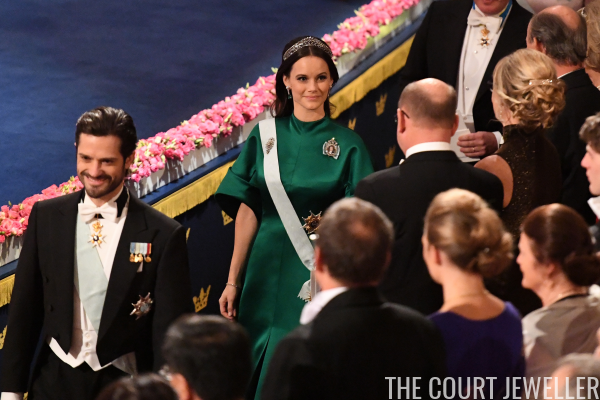 For now: which tiaras from this year's Nobel ceremonies were your favorites?